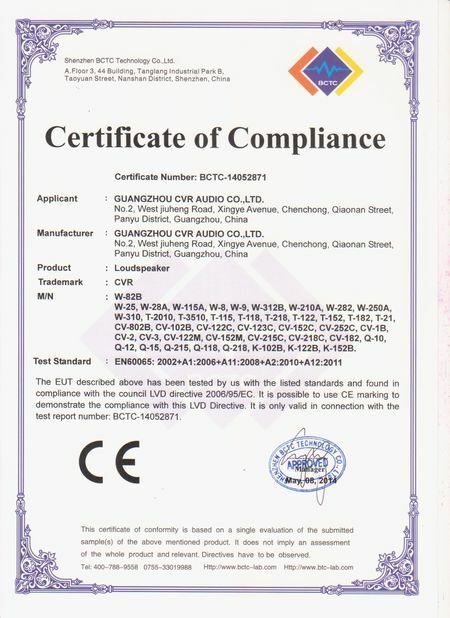 Guangzhou CVR Pro-Audio Co., Ltd is a manufacturer specialized in producing professional audio equipment with an own brand “CVR ”since 2005. Our 5,000 square meters plant has R&D, sales and demonstration departments.Fully equipped demonstration facilities are available with knowledgeable staffs. 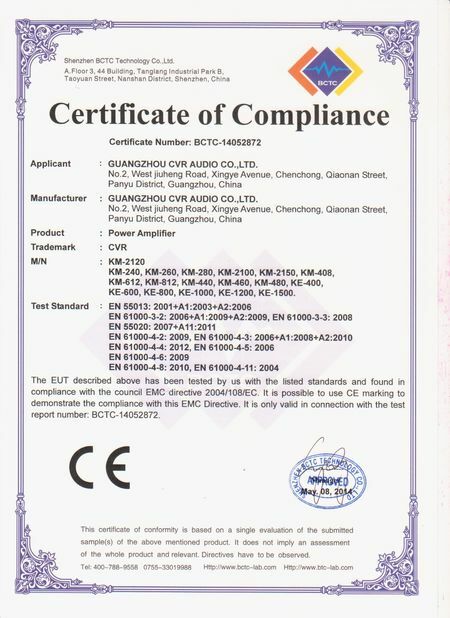 CVR PRO AUDIO can easily provide you a wide range of professional sound gear like:PA speaker, indoor and outdoor line array speaker, subwoofer,floor monitor, Power amplifier and speaker management system. From the smallest conference room to the largest stadium.